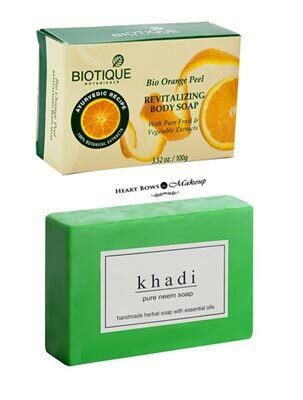 Home » Skincare » Best Bathing Soaps in India For Fairness, Oily & Dry Skin: Our Top 12! After a long and tiring day, we just want to step right into our bathtub for a fresh and relaxing bath which can perk up our mood instantly. A simple shower with a good soap is the perfect remedy to leave behind all the stress and start our day anew. However, a good bath requires an equally good soap. No one wants to use a soap which is harsh, doesn’t foam or lather enough or worse, leave behind its traces even after the wash. Nowadays, the market is swamped with variety of soaps from innumerable brands which makes the task of choosing a good soap quite difficult. Almost every brand of soap promises clear and healthy skin but we know that most of the times it is otherwise. 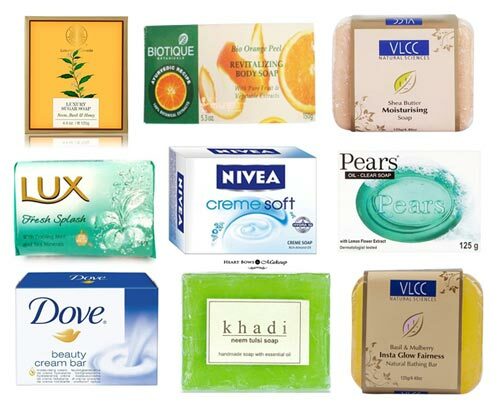 To make this seemingly difficult task easier, we choose the top 12 best best bath soaps in India for fairness, oily & dry skin which are suitable for men & women. This affordable soap for dry skin contains almond oil which penetrates deep into the skin and keeps it moisturized. It is patented with Hydra IQ 24+Moisture technology which removes all the dryness and keeps your skin well moisturized and soft. The gentle scent of this soap makes it all the more worthy. Nivea Strawberry and Milk Soap, Pearl and Beauty Crème Soap & Nivea Coconut and Almond Oil are some of the other variants by the brand which are equally effective. The Dove Crème Beauty Bar is the perfect substitute for body lotions especially during the humid weather. The soap has ¼ moisturizing cream which hydrates the skin well. This is not just a soap but a beauty bar which sweeps your skin with utmost care. Other soaps often purloin the essential nutrients and moisture from the skin thus, leaving it dry and scaly. 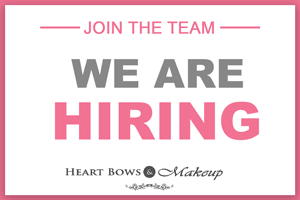 However, the Dove Beauty Bar restores the nutrients lost during the cleaning process. The moisture not just hydrates your skin but also makes it look soft and radiant. It is the best bathing soap in India for winters. A fresh and fragrant bath is one of the best ways to kick start your day on a positive note and VLCC Shea Butter Moisturizing Soap, does exactly that. Laden with glycerin, shea butter, talcum and vegetable oils, the soap enlivens your skin by hydrating it well. The anti-oxidant properties of the soap prevent the skin from losing its natural moisture, thus keeping it well nourished. It lathers really well and doesn’t leave behind any traces after washing. The price of this soap is slightly high but the benefits make it worthy. 4) Pears Oil Clear Soap: Price Rs. 36 for 75 g.
As the name suggests, the soap helps in removing excess oil from the skin. The brand, Pears, needs no introduction as we all have grown up using their products. The lemon flower extracts in the soap is hailed for its astringent and oil controlling properties. It lathers well and clears the skin of grim, dirt and oil while maintaining the natural PH balance of the skin. It moisturizes the skin without making it oily. Although the cost of this soap is pretty high, yet it is one of the top bathing soaps in India for summers. 5) Himalaya Herbals Cucumber Soap: Price 30 for 75 g.
The brand has launched a variety of soaps like Himalaya Neem and Turmeric Soap, Moisturizing Almond Soap, Nourishing Crème and Honey soap etc for various skintypes. However, Himalaya Herbals Cucumber Soap is the best soap for oily skin. Free of chemicals, this soap helps in keeping oil at bay. Cucumber, being the primary ingredient, takes care of excessive oil on the skin. The nut grass extracts in the soap helps in soothing the skin while the presence of coconut acts as a natural moisturizer. Enriched with turmeric, the soap also has anti septic properties. Definitely one of the best affordable bathing soaps in India for men and women. 6) Vivel Green Tea Soap: Price Rs. 68 for 100g. Vivel makes some amazing bathing soaps in India and this one is our favorite for the summers. Enriched with green tea extracts and Vitamin E, the soap nourishes your skin and clears it of skin impurities. It lathers well and has a beautiful fragrance. With regular usage, the skin look brighter and smoother, making it one of the top bathing soaps available in India.They also have some other nice variants like the Vivel Aloe Vera Gel Soap and Mixed Fruit + Cream Soap perfect for dry skin that we totally recommend. 7) Biotique Bio Orange Peel Soap: Price : Rs. 90 for 150 g.
This Biotique Soap for oily skin wipes away sebum and dirt from the body without stripping away the natural moisture of the skin. The soap is enriched with orange oil, orange zest, musk root, walnut, margosa, turmeric and soap nut which deeply cleanses the skin without disturbing skin’s natural PH balance. It is best known as an exfoliator due to the presence of peeling scrub particles which leaves the skin feeling rejuvenated and fresh. It lathers really well, and is easy on pocket. This Khadi soap contains Neem and Tulsi, which is perfect for oily skin in summers. It has anti-bacterial properties, making it ideal for poeple with acne prone skin. The presence of glycerin and vegetable oils keep the skin well hydrated. It lathers really well and doesn’t leave any residue post washing. The mild fragrant lingers on for quite a sometime after bathing. This is the perfect bathing soap for sensitive skin in India. The brand also has other equally good variants in their kitty like the Khadi Neem Tulsi Soap, Chandan Haldi Soap and Orange Ayurvedic Soap. Packed with cooling mint , sea minerals and a beautiful scent, this sea green soap is the best way to feel fresh and cool right in the morning. The creamy layer of the soap nourishes and hydrates the skin while giving the cooling sensation at the same time. It also fights bacteria and germs without stripping away the natural moisture. Another hot favorite in the Indian market. Laden with natural ingredients like mulberry extract, basil extract, tea tree oil and soap nut extracts, the soap deep cleanses the skin and removes dust, dirt and grime. It lathers really well and makes the skin glow. Its divine smell is also one of the reasons to purchase this soap. Enriched with Kojic Acid, Glycerine , Glycolic acid and Tio , this soap fights bacteria and adequately cleanses the skin from dust and dirt. The creamy soap lathers well and is very effective at lightening sun tan. The bathing soap lathers well and does not leave any sticky residue. Easily one of the most effective soaps for reducing sun tan in India. 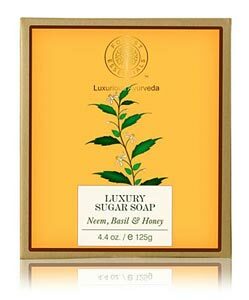 12) Forest Essentials Neem, Basil and Honey Sugar soap: Price : Rs. 425 for 125 g.
This FE soap bar is fairly expensive but it is a great quality product. Free from chemicals, the soap is completely handmade and is packed with beneficial ingredients like cold pressed oil, reetha, raw canned sugar, glycerin, vitamin E. This not only keeps the skin well hydrated but also deep cleanses it by removing dirt and oil. The presence of neem and tulsi makes it rich in anti-bacterial and anti-septic properties. Organic honey acts as a natural anti-oxidant which replenishes the skin moisture and makes the skin glow.This is easily one of the best natural soaps in India for fair skin. 10 Best Benefit Cosmetics Products: Mini Reviews & Prices!